Think of users using your web application from mobile phones when their internet connection breaks down. Native mobile app would still work and cache all user actions, synchronizing them afterwards. HTML5 web apps can also work offline. Basically it is done by listing the resource files (html, js, images) that browser should cache immadietly and use the cached version when user redirects to it. If internet connection is working, the browser will return the online server version, else, if user is offline the cached version will be used. Resources to cache can be defined in html headers or in .manifest file. These two locations are interpreted by all modern browsers. This tutorial is based on the source code from SpringBoot MVC Hello World tutorial. All instructions are performed on this code. And is located under the /src/main/resources/static/offline.manifest. The manifest file must begin with CACHE MANIFEST. The CACHE: section lists the files that we need for offline use. The NETWORK: section lists any resources that should not be cached. The FALLBACK: section uses the / character to define a URL pattern. It basically asks “is this page in the cache?” If it finds the page there, it displays it. If not, it shows the user the file specified – offline.html. 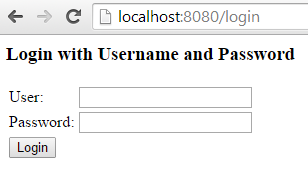 Now stop the Spring Boot app and click the url on th page. Since the server is offline, you will be redirected to cached offline.html page (or the greeting.html if it was previously cached). If you try tu go to any other url, for example: http://localhost:8080/someInvalidUrl – then the offline html page will be displayed. Note: best to be tested in private / incognito browser mode to prevent unwanted cache. Full source code for this tutorial you can get at my GitHub under the SpringBootOfflineWebApp tag: https://github.com/yacekmm/looksok/tree/SpringBootOfflineWebApp. Based on application from this post, I will show how to make the MVC app containing two pages, both with the same header and footer, but different contents. I will reuse the header and footer HTML code, to avoid code duplication and follow DRY principle. You can do it at any other page you need. Here I used th:include, so the header.html was inserted into div element. The other option is to replace that div entirely with fragment content. You can do it with th:replace instead of th:include. I will tutor you to create simple Spring MVC application based on Spring boot. App will have two linked web pages with thymeleaf. The project itself will be made in Eclipse as an Gradle project. Let’s start! Start with welcome page in src/main/resources/templates/hello.html with link to greeting page. If gradle did not automatically create directory structure, then create necessary folders on your own. Remember about annotations. The configuration annotation to indicate this is Spring config class, EnableAutoConfiguration of servlet engine and ComponentScan with package to scan (package is not mandatory when all @Configuration classes are in the same package).